Cuzzi and Ozzie have a history as do Cuzzi and just about every other team in baseball. Not only is Cuzzi inconsistent in his strike zone, he also is confrontational. 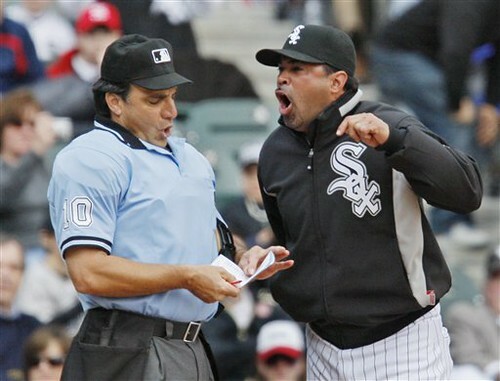 What happened to the days when umpires walked away instead of arguing harder than the manager. If I ran MLB, Cuzzi would be in rookie ball and required to have a cane and leader dog.